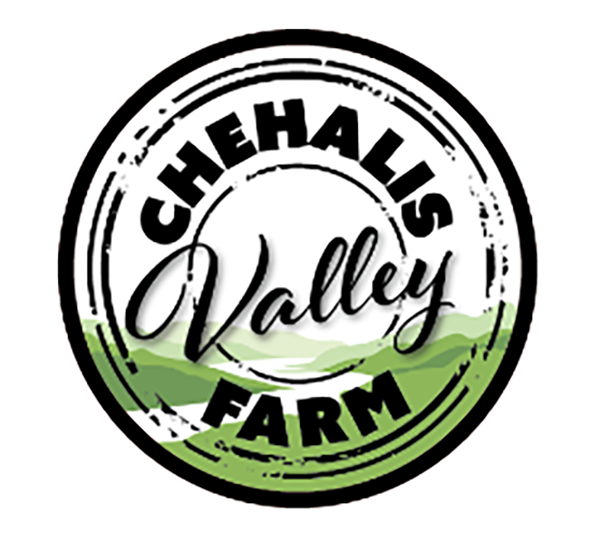 Chehalis Valley Farm is a small, 50 acre farm located along the Chehalis River outside of Elma, Washington. Established in 2012, the farm is owned and operated by John Hagara. At Chehalis Valley Farm, we are passionate about providing our community with natural, nutrient-dense pasture and forest raised meats that are responsibly and ethically raised. We look to older, pre-industrialized and pre-engineered models of food production that work with our animals, the landscape and nature to produce superior products in a regenerative environment. We truly believe that a return to local food sourcing is essential to the health of the community and to the health of the local economy. At The Olympia Farmers Market we have pasture raised chicken available in cuts and as whole birds. Our pastured chickens are moved twice a day to provide access to new grass, seeds and insects. Their forage diet is supplemented with Washington grown, non-GMO grains that are corn and soy free and they are never given growth hormones or antibiotics. Our WSDA-inspected poultry processing facility allows us to process the birds on site, minimizing the stress and discomfort of the animals and maximizing the quality and freshness of our products. We also have a wide variety of cuts of pork available at the market. In the forest, our pigs can roam, forage and dig whenever they would like. Our practice of rotational grazing is beneficial for the forest by helping to control invasive plants and to aerate the soil and essential to the health of our animals for parasite and disease control. Their forage diet is supplemented with Washington grown, non-GMO grains that are corn and soy free and they are never given growth hormones or antibiotics. When weather necessitates, they are moved into the barn where they are provided protection and deep bedding.